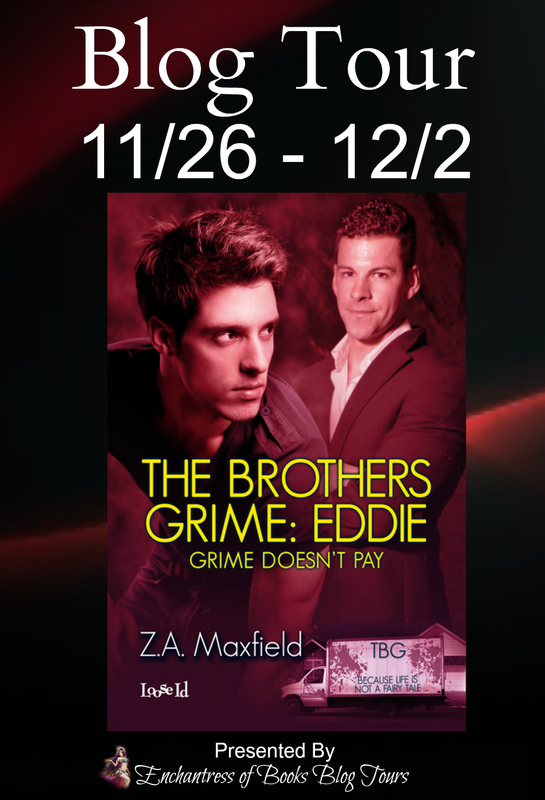 For the next few days I’ll be bouncing around the web, showing off the latest book in the ZAM-iverse — The Brothers Grime : Eddie, Grime Doesn’t Pay. (Thank you very much, wow!) And also I blogged about how I came up with the idea for the Grime series. What makes me write about men with jobs like that? Don’t miss out on the fun, please join us, and get in on a chance to win either a $20.00 gift certificate from Loose Id, or one of three iTunes “Grime Doesn’t Pay” Playlists. Find out what I was listening to when I wrote Grime Doesn’t Pay and stay TUNED! There will be a week-long celebration, blog posts, giveaways, and fun!